Introduced in 2013 by Swedish Match, White Owl Cigars have captured the imagination of smokers all over the world. These cigars were created in response to a demand for quick, high-quality smokes. They derive their reputation from the classic, hand-made cigars that can be dated back to 1887. The machine-made version is packed with high-quality fillers that impart a great taste to the smoke. These fillers have been procured from 5 different countries. Each cigar is rolled in a Homogenized Tobacco Leaf (HTL) wrapper that substantially accounts for the slow burn. The overall effect is a mild-strength smoke that is remarkably rich and satin smooth. These cigars are available in a variety of fruity flavors, including peach, pineapple, strawberry, watermelon, vanilla and grape. However, if you don’t really prefer a fruity smoke, then you can choose from the other options that include Black and Silver. They are available in a variety of shapes and sizes. 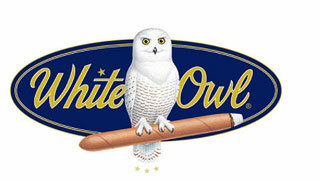 White Owl cigarillos are the tiniest of the lot, measuring 4½ inches in length with a ring size of 28. Blunts Xtra cigars are the fatter variants with a length of 5.6 inches and a ring size of 41. These cigars are either sold in boxes of 50 or alternatively in cartons containing 30 packs of 2 pieces each. These cigars are carefully packaged in foil to preserve their freshness.